The Zoom Fillable base can be filled with water in warmer conditions and sand in colder temperatures. 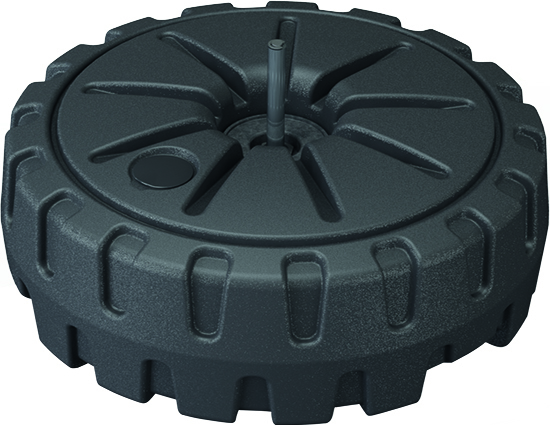 This is a great reusable base for indoor or outdoor use and in all conditions. We also recommend the Zoom water ring base be added for extra support and stability. The Zoom fillable base comes with a 1 year warranty.